IT news and analysis outlet CRN recently released its sixth annual 2018 Big Data 100, a vendor listing that identifies the solution providers that are innovating in the space. The list is aimed at helping the providers identify the best partners. Different this year is that the list is broken down into four distinct technology categories, including business analytics, data science and machine learning, big data systems, and data management and integration tools. CRN has gone ahead and published the 30 ‘coolest’ analytics providers included in the list via an interactive slideshow. 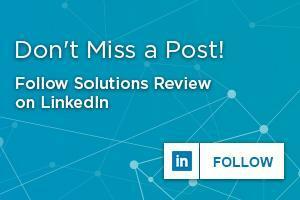 At Solutions Review, we track the solution providers that have the biggest impact on the enterprise. As such, we’ve read through CRN’s complete rankings, available here, and plucked the 20 BI and analytics tools we think matter most. 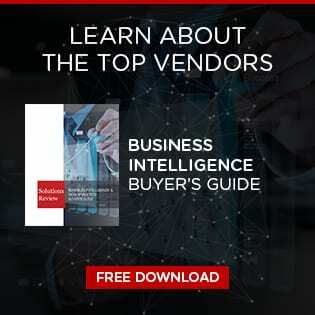 For an even deeper breakdown of the top BI and analytics solutions, consult our Buyer’s Guide for Business Intelligence and Data Analytics Platforms. Alteryx is a publically traded self-service analytics software company that specializes in data preparation and data blending. Alteryx Analytics allows users to organize, clean, and analyze data in a repeatable workflow. Business analysts find this tool particularly useful for connecting to and cleansing data from data warehouses, cloud applications, spreadsheets and other sources. The platform features tools to run a variety of analytic jobs (predictive, statistical, spatial) inside a single interface. Arcadia Data is the provider of a visual analytics platform for big data. The platform runs analytics natively in-cluster, helping to accelerate insights from Apache Hadoop or other platforms without moving data. Arcadia features a web-based visual designer that allows users to create dashboards and applications without having to code. Users can choose from a library of more than 25 visual types which include advanced analytics for micro-segmentation, time-series, and correlation analyses. Birst offers a cloud-based analytics solution that connects an organization using a network of interwoven virtualized BI instances. The provider’s flagship product is its Networked BI platform. The tool features an adaptive user experience, multi-tenant cloud architecture, user data tier, and a completely virtualized data ecosystem. These capabilities enable use of BI across multiple regions, product lines, departments, and customers. Birst was acquired by Infor April 2017. ClearStory Data’s flagship platform is loaded with modern data tools, including smart data discovery, automated data preparation, data blending and integration, and advanced analytics. The tool is delivered in the cloud and based off a Spark-centric distributed processing system. ClearStory connects to a wide variety of data sources, including structured and semi-structured data, cloud and web applications, Hadoop, and more. The company was recently awarded a US patent for smart data inference and harmonization. Solutions Review has named ClearStory Data a Data Preparation Vendor to Watch in 2018. Cooladata is a behavioral data service that provides flexible access for unifying data sources and an alternative to traditional data analytics solutions. The platform features scalable access for bringing together internal and external data sources and providing a way around self-developed analytics solutions. The tool analyzes online user behavior and converts it in a way that business users can understand and take action against. Based in Israel, CoolaData was founded in 2012 by Guy Greenberg and Tomer Ben Moshe. Datameer offers a big data analytics platform that utilizes the native query engines for Hadoop and Spark. The company uses Hadoop for both storage and compute. Datameer is a fully extensible solution that can integrate with existing data warehouse or business intelligence tools. The San Francisco-based vendor specializes in assisting organizations that invest in data lakes and other big data environments that support analytics for four main use cases: customer analytics, operational analytics, enterprise data warehouse (EDW) optimization, and fraud and compliance. Domo, founded in 2010, is designed to provide access to data without the requirement of IT involvement. Their platform can monitor sales and inventories in real time, and integrate with Salesforce, Google Analytics, Box, LinkedIn, Instagram, among others. Their native data source connectors exceed 300, and their Workbench feature allows you to move on-premise data security using their software. Their platform is highly customizable, and their Analyzer feature can be tailored to filter out unnecessary information. Pentaho was acquired by Hitachi Data Systems (HDS) in 2015. Post-merger, Pentaho had been offered as a standalone software platform until recently when Hitachi combined the Pentaho, HDS and Hitachi Insight Groups into a new unit called Hitachi Vantara. Future releases of the Pentaho platform will be released under the Hitachi Vantara branding. The Pentaho platform offers a range of capabilities for big data integration, analytics, and data preparation. The solution is popularly deployed for embedded use cases. Pentaho is offered in on-prem and cloud versions. Information Builders is a New York-based solution provider that offers a wide range of BI and data management software tools. The company’s WebFOCUS platform features self-service analytics and data discovery, a visual discovery insight mode, predictive capabilities, and more. WebFOCUS can deploy secure applications to millions of users, and governance functionality enables metadata-driven delivery across an organization. The platform also extends beyond dashboards for executives and analysts by operationalizing data and analytics for line-of-business users. Logi Analytics offers a development platform that allows users to create BI applications, deploy dashboards and reports, and embed analytics into existing applications. The Logi Suite is made up of Logi Info, Logi Vision, and DataHub. There is tight integration between the three tools, and the platform connects to any relational database, big data source, web service or cloud application. Logi Analytics provides data visualizations, self-service dashboards, and reports as well. The vendor also enables users to maintain total control over branding, style, and views within its embedded analytics framework. Looker offers a BI and data analytics platform that is built on LookML, the company’s proprietary modeling language. Looker connects to any relational database like Amazon Redshift or Google BigQuery, and automatically generates data models for specific schemas. Users can refine the models to reflect company-specific metrics and business logic to build KPI dashboards and departmental reports. Looker also offers an embedded analytics platform, Powered by Looker. Microsoft is one of a handful of major players in enterprise BI and analytics. The company’s flagship platform, Power BI, is cloud-based and delivered on the Azure Cloud. On-prem capabilities also exist for individual users or when power users are authoring complex data mashups using in-house data sources. Power BI is unique because it enables users to do data preparation, data discovery, and dashboards with the same design tool. The platform integrates with Excel and Office 365, and has a very active user community that extends the tool’s capabilities. MicroStrategy is a publicly traded BI provider that provides out-of-the-box gateways and native drivers that connect to any enterprise resource, including databases, mobile device management (MDM) systems, enterprise directories, cloud applications, and physical access control systems. The MicroStrategy platform enables developers and administrators to simplify and accelerate processes at every level of an analytics deployment. A built-in metadata repository stores and catalogs logical business definitions of enterprise data and forms reusable building blocks for every report, dashboard, and application. Qlik offers a broad spectrum of BI and analytics tools, which is headlined by the company’s flagship offering, Qlik Sense. The solution allows organizations to combine all their data sources into a single view. The in-memory engine and associative analytics indexes every possible relationship to data, and the platform is available on-prem (Qlik Sense Enterprise) or in the cloud (Qlik Sense Cloud). Qlik’s product portfolio is rounded out by its Qlik Analytics Platform (embedded and custom tools), and Qlik View, the company’s first-generation data discovery tool. Qlik was acquired by Thoma Bravo in 2016. SAS is the largest independent vendor in the BI marketplace. The company’s flagship platform, SAS Visual Analytics, is available on-prem or in the cloud. Visual Analytics allows users to visually explore data to automatically highlight key relationships, outliers, and clusters. Users can also utilize advanced visualizations and guided analysis through autocharting. SAS has made its name as a result of its advanced analytics, as the tool can ingest data from diverse data sources and handle complex models. In addition to BI, SAS offers data management, IoT, personal data protection, and Hadoop tools. The company was founded in 1976. Sisense is a global business analytics software company with offices in New York City, Phoenix, Tokyo, and Tel Aviv. The company’s BI software makes it easy for organizations to reveal business insight from complex data in any size, and from any source. Sisense allows users to combine data and uncover insights in a single interface without scripting, coding or assistance from IT. Their BI and analytics platform is sold as a single-stack solution with a backend for preparing and modeling data. It also features robust analytical capabilities, and a front end for dashboarding and visualization. Tableau offers an expansive visual BI and analytics platform, and is widely regarded as the major player in the marketplace. The company’s analytic software portfolio is available through three main channels: Tableau Desktop, Tableau Server, and Tableau Online. Tableau connects to hundreds of data sources and is available on-prem or in the cloud. The vendor also offers embedded analytics capabilities, and users can visualize and share data with Tableau Public. Tableau is publicly traded and headquartered in Seattle, Washington. ThoughtSpot offers an artificial intelligence-driven analytics platform that features what the company dubs the world’s first relational search engine. The tool combines relational search with a custom-built, in-memory relational data cache to speed up queries that are run over many lines of data. ThoughtSpot connects with any on-prem, cloud, big data, or desktop data source. The company is located in Palo Alto, CA, and was founded in 2012. Zoomdata offers a range of BI and analytic tools highlighted by big data exploration and data visualization. The platform features a patented micro-query architecture that allows organizations to bridge old and new data in a single pane of glass. Zoomdata enables connection, interaction, and visualization with data on browsers and mobile devices. The company’s DataDVR capabilities allow users to fast-forward, rewind, and compare real-time streaming and historical data as well. Zoomdata has amassed more than $47 million in venture funding since its founding in 2012. See the full CRN Big Data 100.